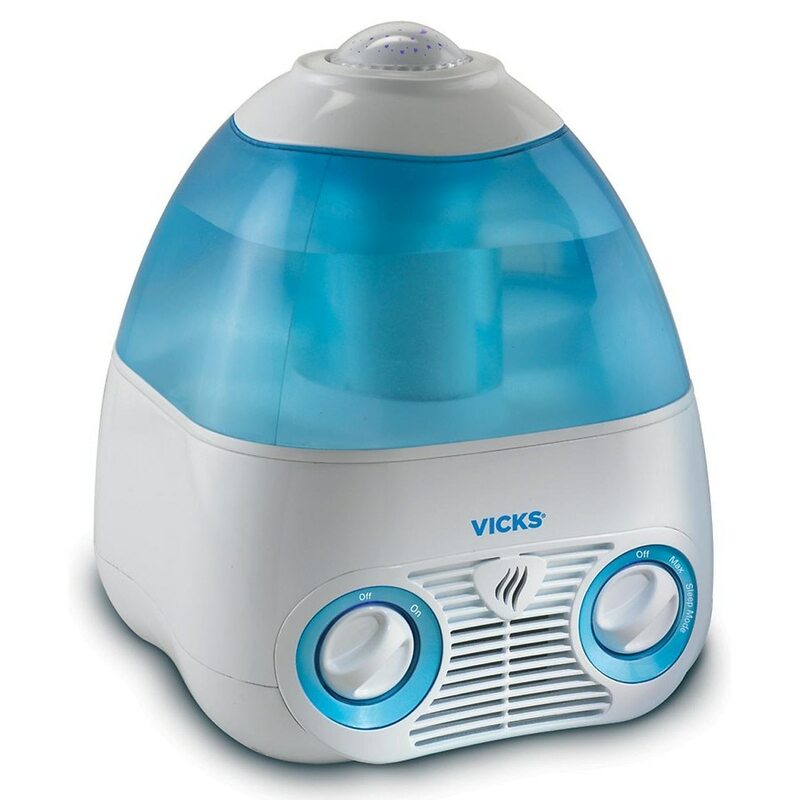 The Vicks Starry Night cool moisture humidifier features a projector that comforts your child while transforming the room into a starry night sky. Starry Night projector creates a soothing environment to quietly lull your child to sleep. The rainbow of color changing stars gently float in the sky providing comfort at bed time or when under the weather for children of all ages. On/Off switch allows you to operate the Starry Night projector independently. Translucent 1.0 gallon tank shows water level. Runs up to 24 hrs per filling. Water tanks feed water into the base. Water is then absorbed by the wicking filter trapping minerals and impurities. Dry indoor air is drawn through the filter absorbing the moisture. A fin invisible mist is emitted into the air. Read instructions carefully. © 2013 Kaz USA, Inc.